Many traditions may have already become obsolete in today’s modern era, but never the wedding ceremony. As these ceremonies may vary from various cultures, most of them have one common denominator – wedding invitations; and with these invitations, there’s a good chance that a lot of couples will hire graphic designers to do the designing for them. These freebies that we will share with you today are very useful if you have a design project that tackles on wedding themes. Below are some of the best wedding icon sets that you can freely download and add to your design arsenal. 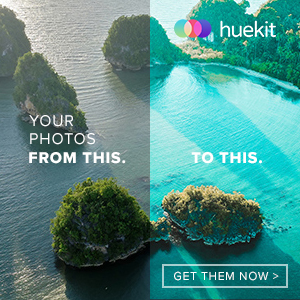 Some of these freebies are also allowed for commercial use with attribution. Be sure to check out all of these icons along with their corresponding licenses. Come, take a peek, and choose your pick! This first feature of the list will give you a set of icons that have sweet designs. They can be used for commercial use with attribution. This set includes 8 various icons that can be downloaded in AI and EPS format. Here we have 30 icons in thin line designs that are available in AI format for vector lovers. This one contains 20 silhouette style icons that can be used for wedding-themed designs. 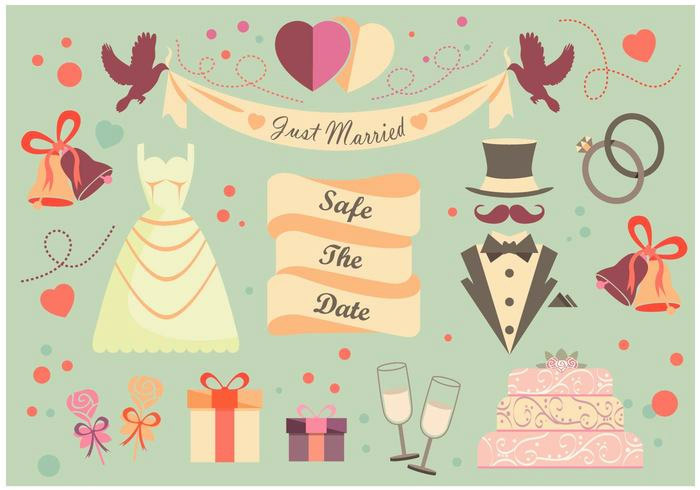 This set includes 6 flat design wedding themed icons, a great addition to any icon collection. 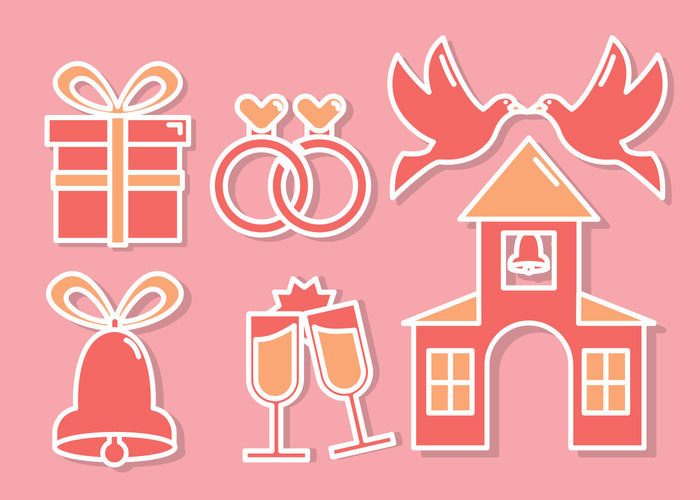 Get this free wedding icons set in PSD format. Illustration set of wedding icons in thin outline circle style. These can be grabbed in EPS format. 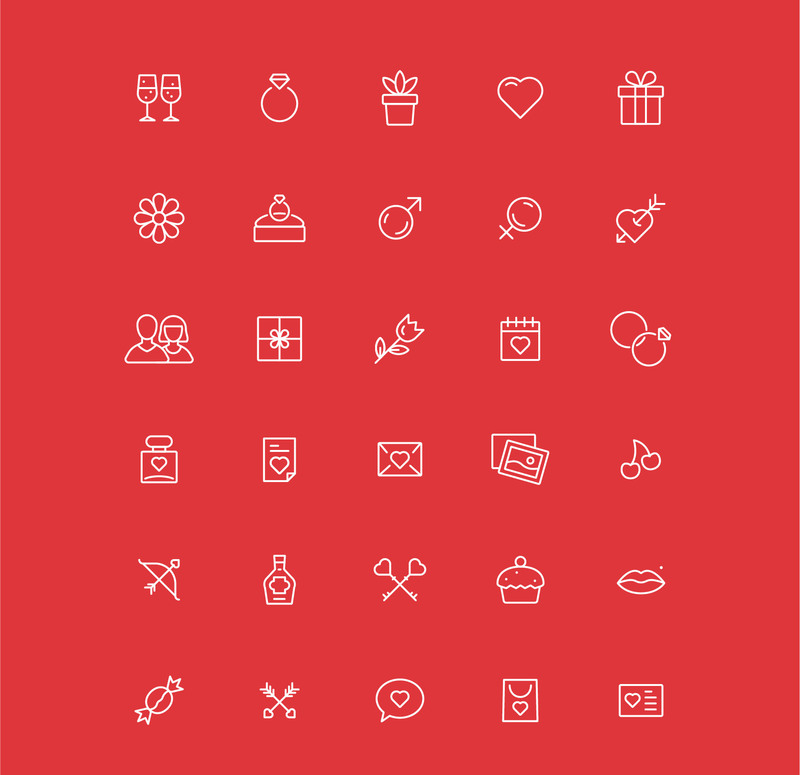 These icons are also free for personal and commercial use as long as you attribute the author of this resource. Illustration set of wedding icons in long shadow style. They are available in EPS format. These are vector icons that can be downloaded in SVG, EPS, PSD, and PNG formats. The set includes 50 different icons. These vector icons can also be added to your arsenal in EPS format. Here is another set of silhouette style icon designs that you can grab in many different formats. This pack gives you a bit more diversity as it includes some uncommon icons in various colors.